The Royal Victoria Hotel has a range of air-conditioned conference and function rooms to suit any requirement or budget. 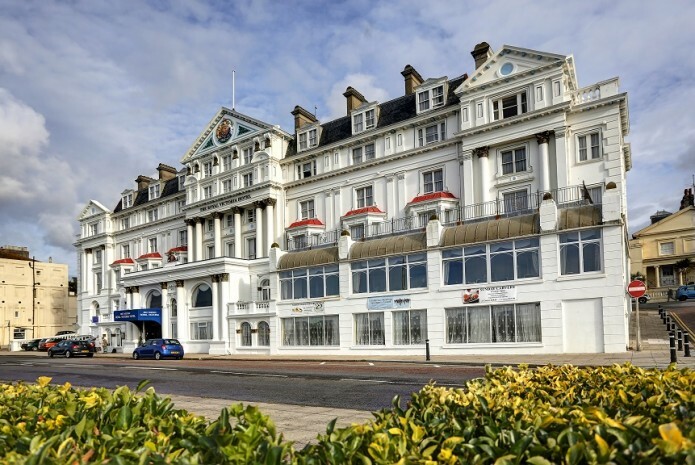 With its Victorian splendour, stunning architecture and sea views, the hotel provides an idyllic one-stop-shop solution for events in Hastings from one-to-one meetings to large functions and seminars. With 3 bars, 7 function rooms and a restaurant overlooking the sea, the Royal Victoria Hotel provides the ideal setting for your event. We can offer two and three-course meals (including Carvery), lunch, finger buffets and afternoon tea, plus hot and cold beverages with a selection of biscuits. If you wish to view our annual Upcoming Events please click here .